cardstock or laminate each sheet for durability. Punch a hole in the top and string a colorful ribbon through with a slip knot. 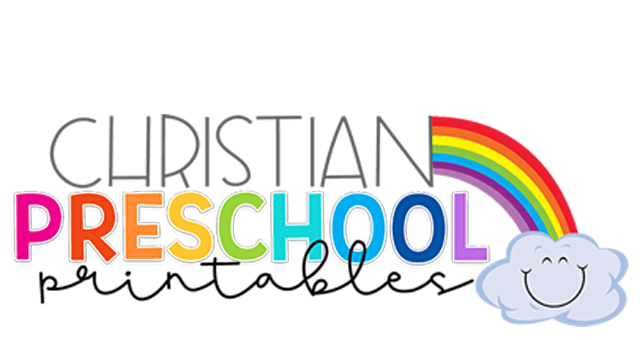 A set of 10 different bookmarks you can print to keep on hand as rewards or special treats for your students. 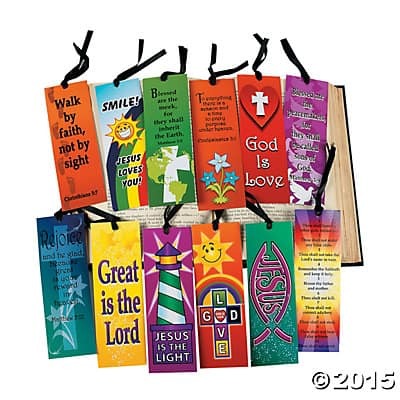 Each bookmark features an inspirational saying or Bible verse. 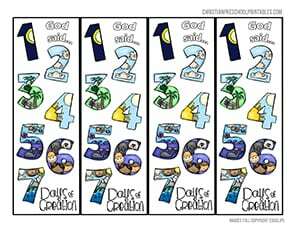 A set of free printable Days of Creation Bible Bookmarks. 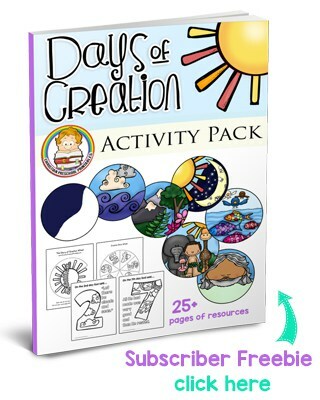 This is a beauitful set you can print for your students during your Creation Week unit. 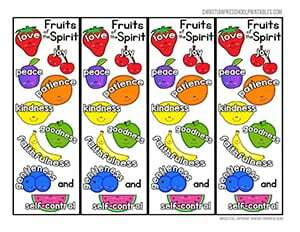 Colorful Fruits of the Spirit Bible bookmarks for children to take home. Print on cardstock and laminate for durability. 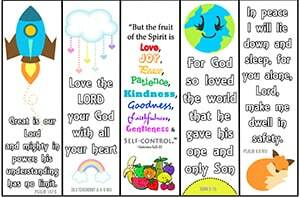 A cute and colorful set of four different Earth Day Bible Bookmarks. 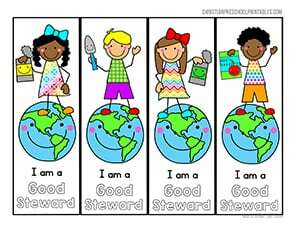 Featuring four different variations this set shows children holding a different recyclable or idea for being a good steward. Jelly Bean Bookmarks are perfect take home items for children. Print on cardstock and laminate for durability. 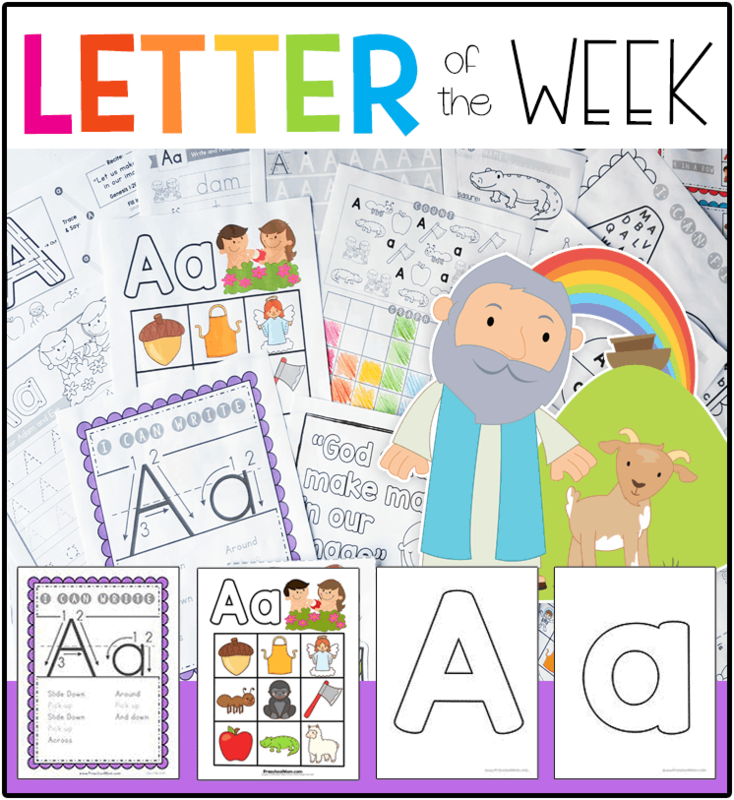 Children can learn the salvation message with these cute and colorful characters. A set of colorful St. Patrick's Day Bible Verse Bookmarks for children learning to store their treasures in heaven. Print on cardstock and laminate for durability. 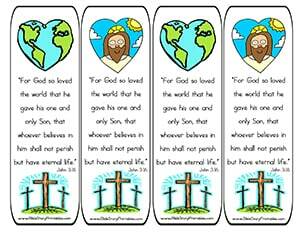 Printable John 3:16 Bible Bookmarks to help children remember this important verse. Print up in color or black and white and let them decorate their own. 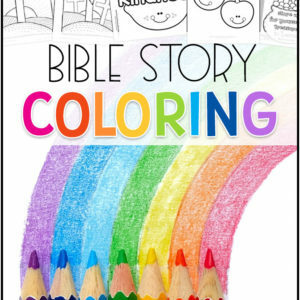 Available in NIV and KJV. These Veteran's Day Prayer bookmarks feature a man or women in uniform with the words, "I will remember to pray for our Nation's Heroes." 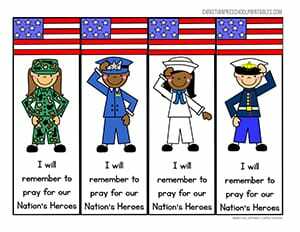 This is a great take home item for children on Veteran's Day. 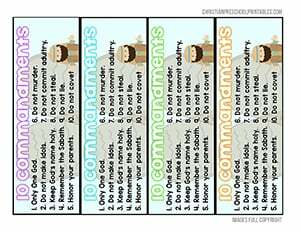 A colorful set of Ten Commandment Bible Bookmarks for children. 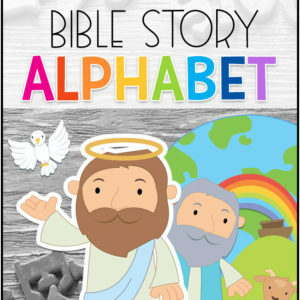 These include the ten commandment in easy to understand language for little ones. 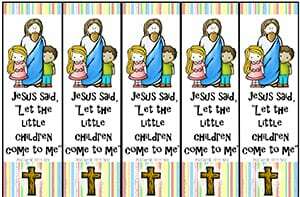 A cute bookmark featuring Jesus and children with the words, 'Jesus said, 'Let the little children come to me'." 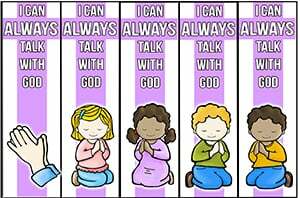 This is a set of colorful Bible bookmarks showing children praying. The text reads, "I can always talk with God." 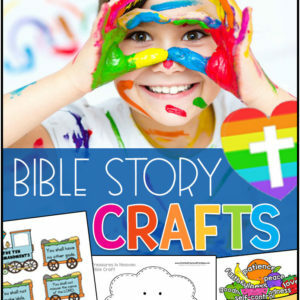 These Bible bookmarks print 10 to a sheet so they are smaller than our standard size bookmarks but they are just right for children to take home in a goody bag. 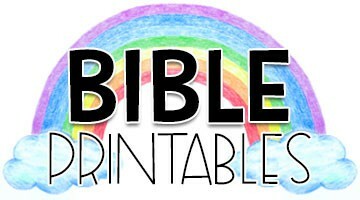 We offer more free printable bible bookmarks on our sister site BibleStoryPrintables.com You'll find Ten Commandment bookmarks, Easter Bookmarks, Fruit of the Spirit bookmarks and some fun corner bookmarks that make excellent rewards! I was looking for the bookmark idea for kids valentine gifts. Thank God. This is awesome. I am gonna print and laminate it. It would be really nice if every “craft” could be colored by the children. i.e. the bookmarks would be m ore interesting and the children more apt to USE them or give as a gift to parents if THEY colored them by themselves. I also can’t get the New Testament Bookmarks to open. It just goes to the main page. Other than that, this is a gold mine for teachers like me from a very tiny church with a $0.00 operating budget. 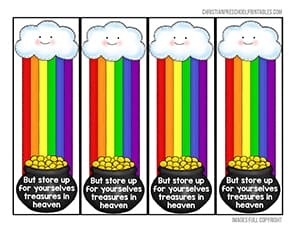 Whatever is spent on Children’s church comes out of my pocket, and Vacation Bible School is donations and/or out of pocket. Thank you so much! 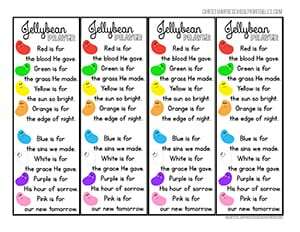 I’ve marked your site and will return often for lesson AND especially craft ideas.